We provide Windows 10 training, Windows 8 training and Windows 7 training. All our Microsoft Windows training course outlines can be adapted to the needs of the individual or organisation. We provide Microsoft Windows training in London, Richmond, Twickenham, Kingston, Hounslow, Brentford and throughout the M25 area. 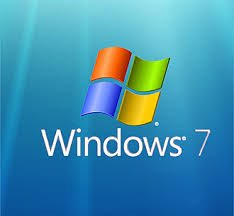 We are very happy to help with Windows 7 and Windows 8 rollouts along with the associated Microsoft Office packages. This can take place in the form of short workshops if required, demonstrating the major changes and emphasising the most useful new features. Although we include links to Microsoft Windows training course outlines below, all training can be adapted to the needs of the individual or organisation and we would encourage you to think about what you actually need from the training and contact us to discuss. We deliver Microsoft Windows training in London, Bristol, Cardiff, Birmingham, Bath, Swindon, Reading, Bracknell, Newport, Swansea, Hounslow, Kingston, Staines, Croydon, Leatherhead, Surrey, Reigate, Redhill, Dorking, Weybridge, Walton, Epsom, Esher, Ewell, Woking, Banstead, Ascot, Heathrow, Uxbridge, Ealing, Surbiton, Farnham, High Wycombe, etc.